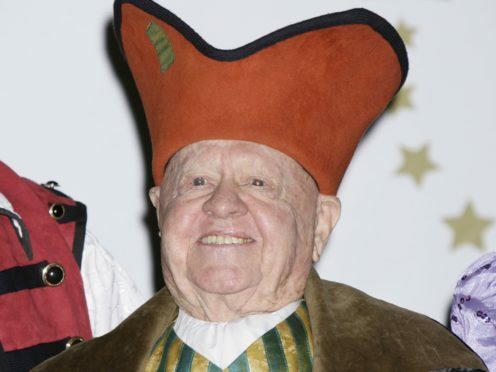 A Golden Globe statuette awarded to Hollywood actor Mickey Rooney has been sold at auction. Rooney, who died aged 93 in 2014, enjoyed a showbusiness career spanning nine decades and was one of the last remaining stars of the silent film era. He won one of his two Golden Globes in 1982 for his role in TV movie Bill. On Thursday the best actor statuette went under the hammer in Los Angeles and fetched a price of 9,983 US dollars (£7,621). The buyer wishes to remain anonymous, organisers Nate D Sanders Auctions said. An Emmy won by Rooney for the same show was also listed but was withdrawn from sale for unknown reasons, organisers added. Bill told the real life story of Bill Sackter, who had an intellectual disability and spent nearly 60 years in a mental health institution. The 1981 TV movie is credited with changing attitudes towards people with disabilities in America. Rooney’s Golden Globe, which was won at the Beverly Hilton in 1982, came from the actor’s estate. Despite a glittering career in film, Rooney often struggled financially and left an estate worth 18,000 US dollars (£13,700) when he died.